Q: How do I upload my own image/photo? 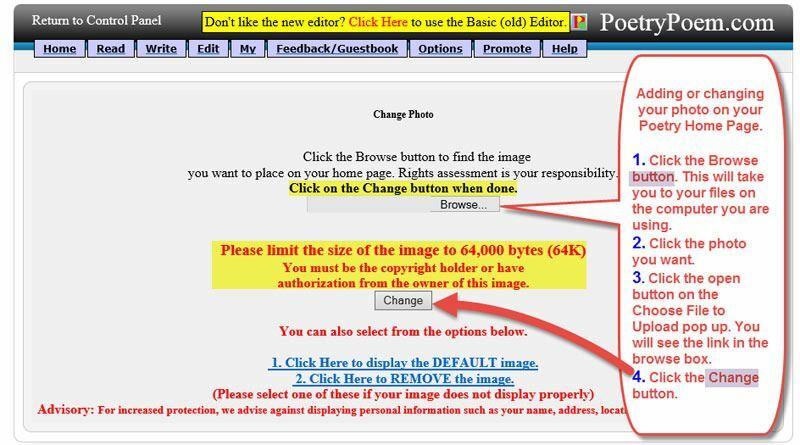 Please limit the size of the image to 64,000 bytes (64K). Go to your "Control Panel". 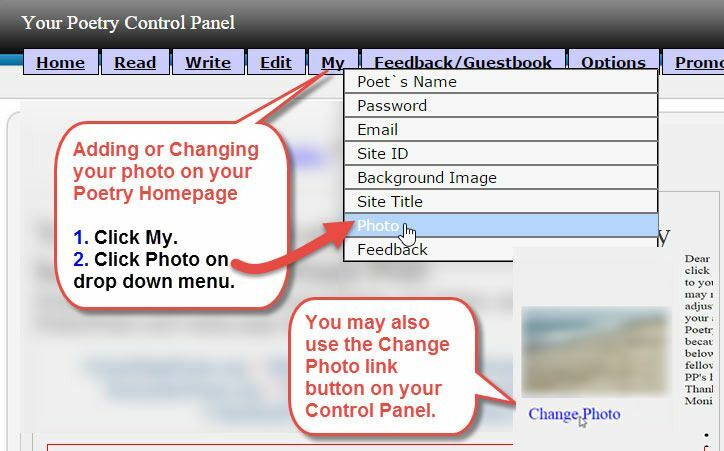 Select the "Photo" option under "Manage Site". Click the "Browse" button and navigate to the image stored on your computer. Select the image and click on the "Save" or "Open" button. Click on the "Change" button and wait up to a few minutes for the image to transfer to poetrypoems.com's server. This completes the steps. You may need to "Reload"/"Refresh" your homepage to view the image. Some users have also had to close their web browser and open it up again to see the uploaded image.